I know some of y'all have tried to pinpoint the very first post, but can't, because I migrated Facebook content into the blog that pre-dates the registration. The first real blog post, where I hit "Create post" the first time to add original real-time content, is this post, entitled, "Garlic". It was this overheard phone conversation that made me stand up, toss aside my T.O. Night newspaper and shout, "That's it, this crazy train needs a goddamn website," and thus, a bonafide legend was born. I am serious about a get-together to celebrate this anniversary. It truly is time to meet some of you and I'm thinking late Spring or early Summer. Somewhere in the bowels of the York Concourse, we can meet up, go for a drink and possibly have a lot of dinner things find their way into our gullets. Thank you to those who have remained loyal for so long. It's pretty cool that many readers are now friends offline ... so a get together is indeed, long overdue. 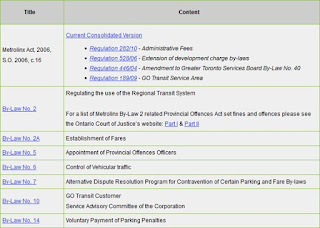 The latest fiasco to hit the frontlines at GO Transit is cash payment for a bus ride. Many people still use bills and coins to pay for their trips. 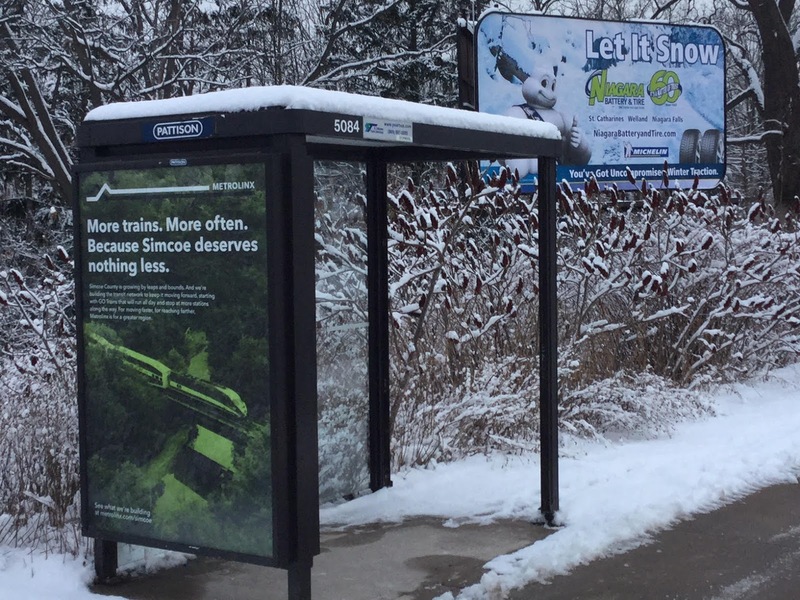 If you don’t have a PRESTO card, cold hard cash is the way to pay for your fare at stops like Stoney Creek, Grimsby, Beamsville, and St. Catharines. So, what’s the issue? Some drivers have accepted $50 bills as payment, whereas others won’t accept anything larger than a $20 bill. 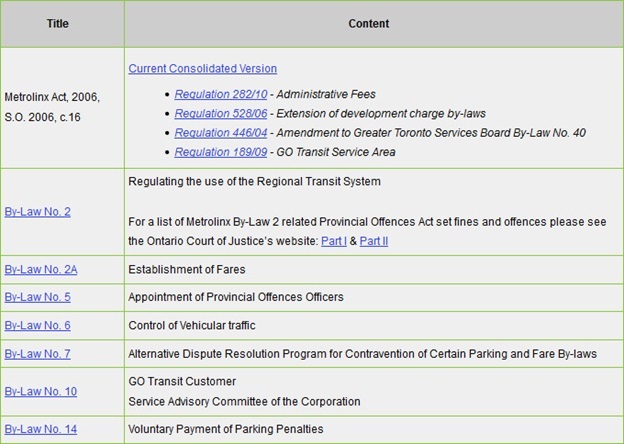 This inconsistency has led to confrontations between passengers and those drivers refusing the larger bills. Who is to blame for this strife? If you guessed “the Metrolinx Ivory Tower”, you are absolutely correct! Point your browser at the page for Fare Information (relevant snippet follows) and you’ll find nothing about cash restrictions. By-Law No. 2A contains the Tariff of Fares except it looks completely mangled to what I recall of it. That link, ow.ly/5tPT30iwUY9, brought me back to where I started my search! I had my answer, namely, that bus drivers are limited to accepting no bills more than $20.00, but most other passengers were not apprised. ● Why did it take so long for GO Transit to answer my question? ● WTH is a Transportation Warrant (section 17.4)? 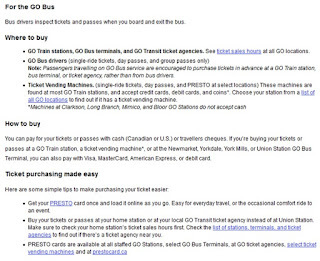 ● Why doesn’t the Fare Information page contain ALL this information? ● From under which rock did “^NF” pull that number of $20? ● Why is the current Tariff document a tattered remnant of its former glory? 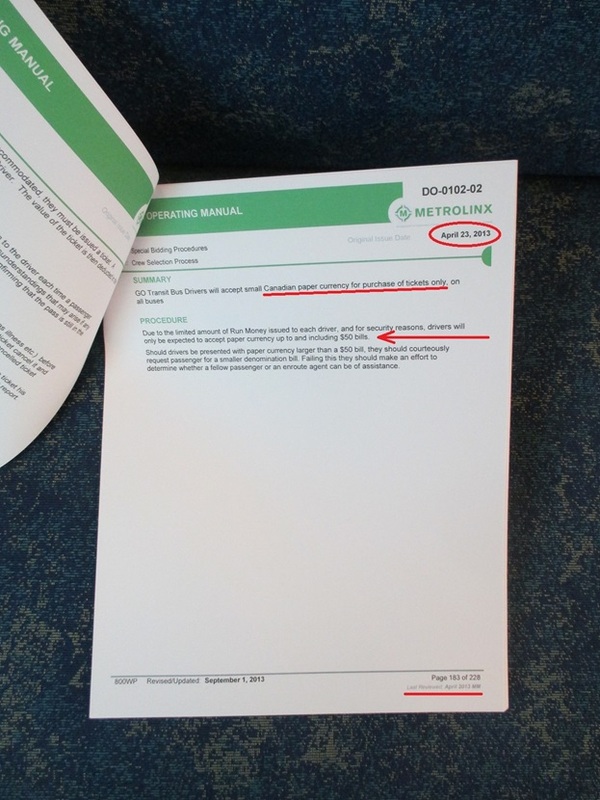 ● Why did Bus Ops issue documentation in Apr. 2013 contradicting the Feb. 2013 Tariff? ● Why do buses have “special signage” for WiFi, but not the cash bill limit? 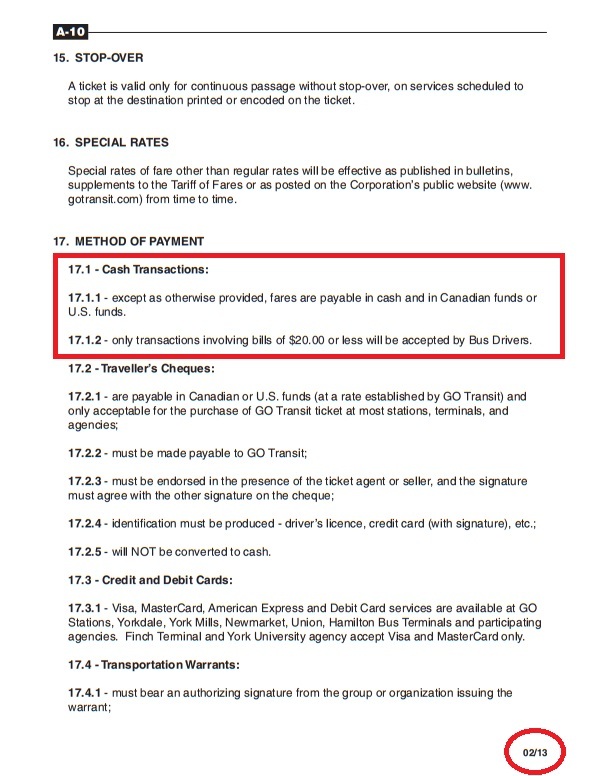 ● Why can’t GO Transit post the cash bill limit by the bus door for all to see? 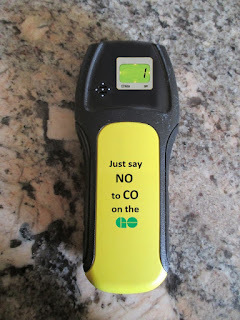 The next time your GO bus driver declines your $50 bill, don’t argue! 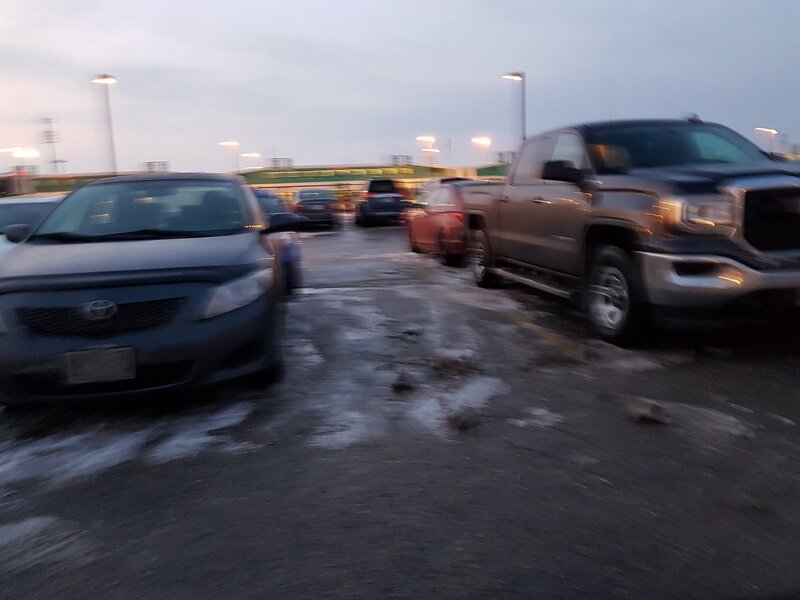 The drivers didn’t create the situation that they and all of us find ourselves — the brass at Metrolinx did that. 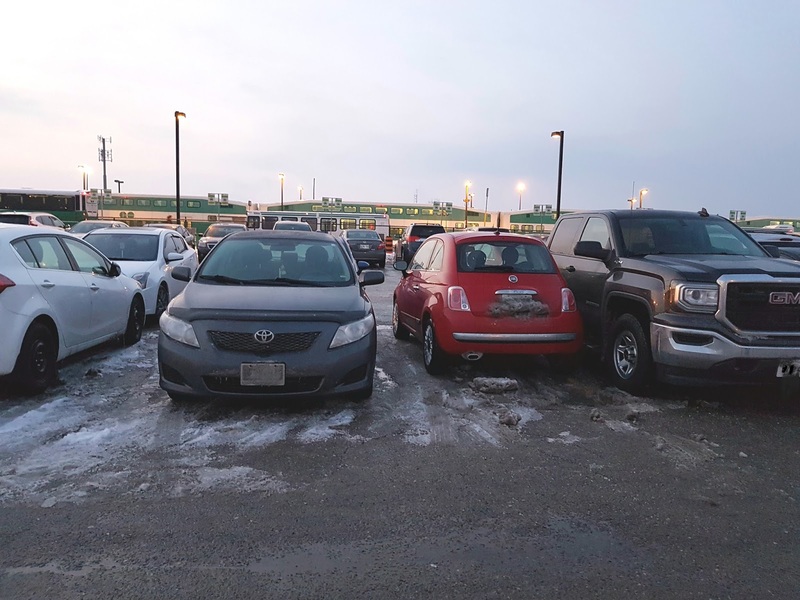 So, collect all your facts, head down to the next Metrolinx senior management Town Hall event, look the executives straight in the eye, and ask them what they’re GOing to do to clean up this mess. For the first phase of the project, PC Express locations will be at five GO stations—Bronte, Oakville, Clarkson, Rouge Hill and Whitby. Groceries will come from nearby Fortinos orLoblaws stores depending on location. 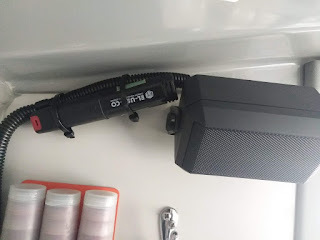 They will be waiting in a special delivery truck, in lockers or in an enclosed kiosk depending on the station to allow us to test different delivery methods. After the initial phase is complete and key lessons are learned, PC Express pick-up locations will roll out to more GO stations across the region. What's interesting with respect to Oshawa and the emails I receive about the new station (it was not a "renovation" - a whole NEW station was built) is there still remains a lack of Wi-Fi service in the building. A Metrolinx spokesperson confirmed it's coming as soon as construction is completed in its entirety. The company responsible for installing Wi-Fi will then come in and do the work. There was no ETA given as construction remains on-going to pave where the old station was, finish the passageway from the new station to the existing VIA staircase and finish the landscaping. So, maybe Fall? Best I can do for you guys. 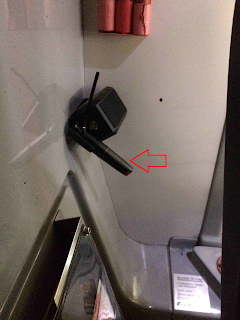 Metrolinx has been actively looking for many years for a vendor to supply connectivity and IT support for Wi-Fi service on trains and buses. 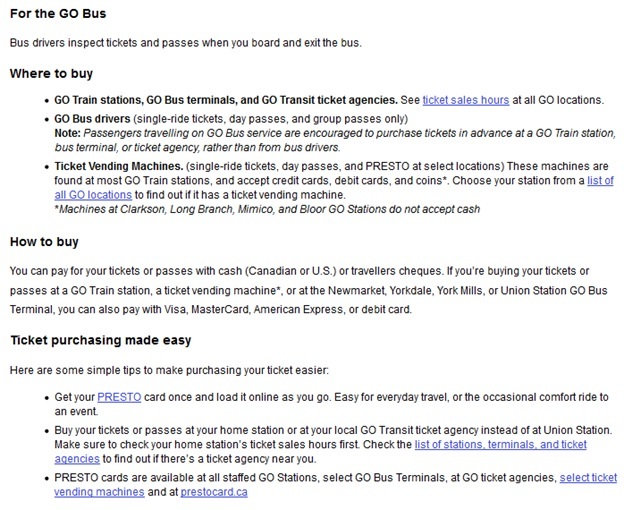 A Toronto Star report reveals a company has come forward to test the service on GO's system. 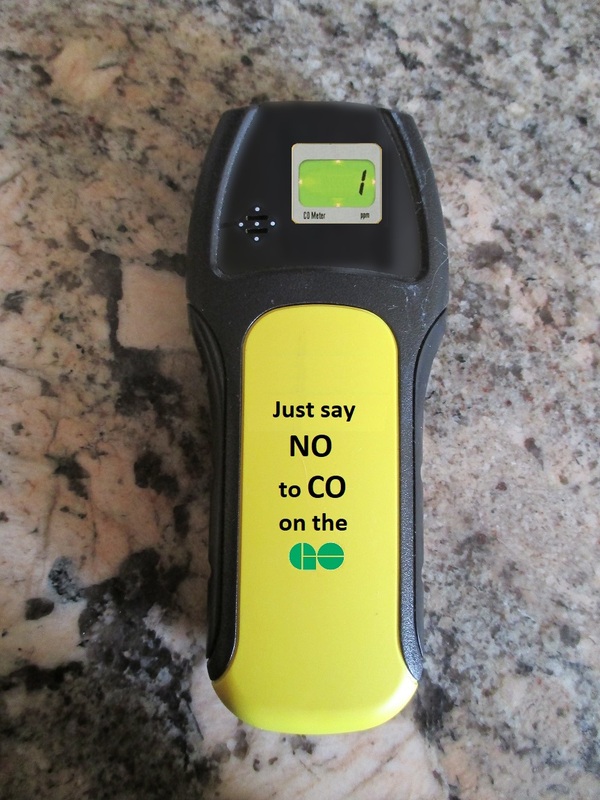 Metrolinx has not identified which trains will be part of the testing, or which buses. Since Barrie was the first corridor to pilot the Quiet Zone, I am pretty sure they'll be part of the Wi-Fi testing. I have enough data with my plan that this news does not excite me, but I do know that a lot of passengers have requested Wi-Fi connectivity. I imagine this news will make a lot of people happy. But, don't pull out the Consumers Distributing catalogue just yet. Testing does not mean it'll happen!